Moving plants from point A to point B has never been this easy. 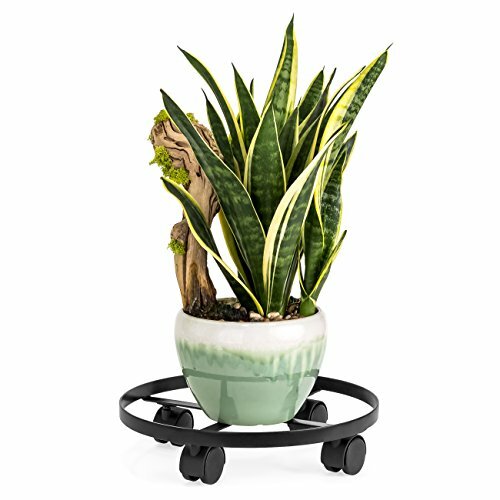 This rolling plant stand makes life easier and saves your back when moving heavy planters. The four caster wheels spin 360-degrees and roll smoothly on all surfaces to effortlessly move planters into or out of sunlight. Raised edges keep pots from sliding off and conveniently fit a water catcher to keep floors clean. Overall Dimensions: 13.75"(Dia) x 3"(H); Weight Capacity: 88 lbs.